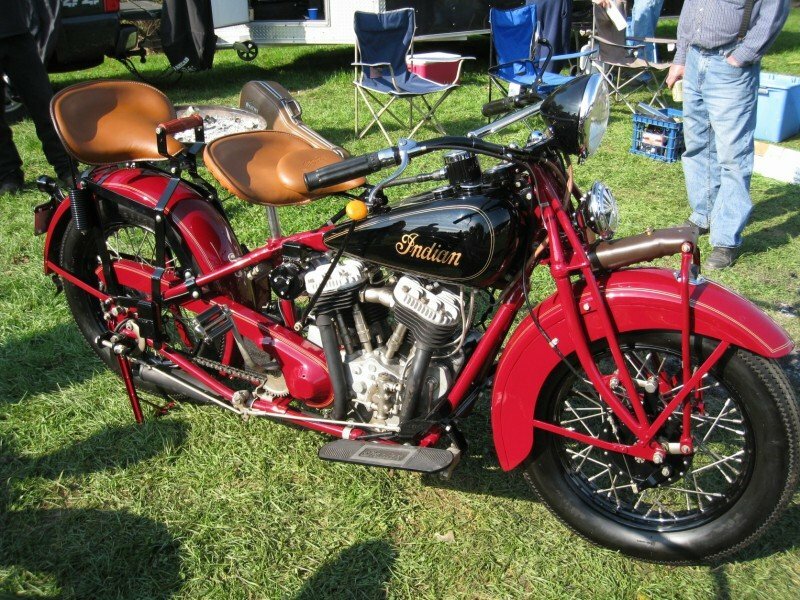 Chief 1933 These two bikes are very rare 1933 Chiefs restored by Randy Zorn of Island Restoration Motorcycle Company. The Black and Indian Red Chief belongs to Randy and the Chinese Red and Indian Blue belongs to Steve Ciccalone. Both are nearly 100 point bikes.